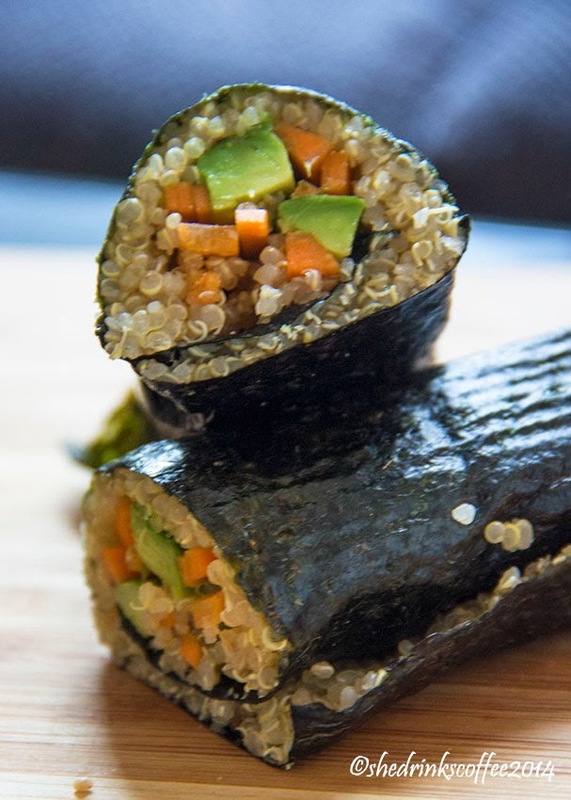 Ever since trying out quinoa in place of brown rice in sushi last week - it totally works, by the way - I've been making these super tasty and healthy quinoa nori wraps for lunch. Quinoa is full of protein, which makes it the ideal filler for a vegetarian lunch. 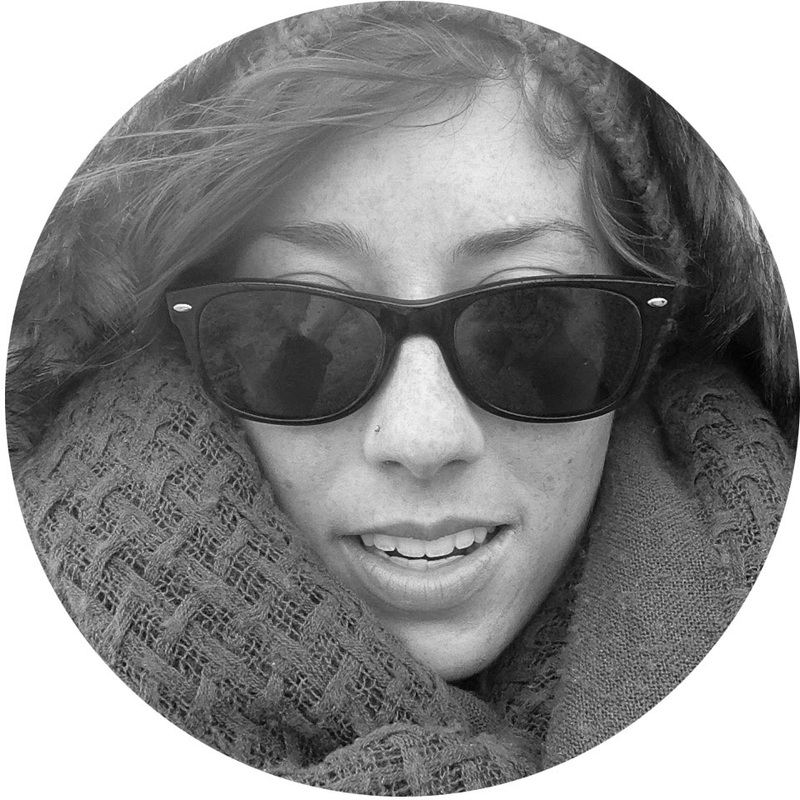 Rinse off your quinoa (about 1 cup uncooked) and bring to a bowl in a saucepan. Reduce and allow to simmer for about 15 minutes. 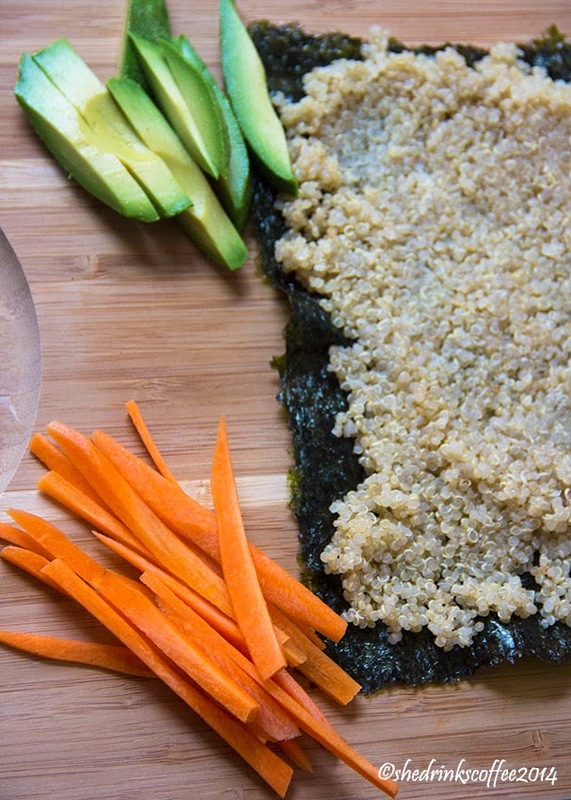 You can also do this ahead of time and use cold quinoa. The wraps work well both hot and cold! 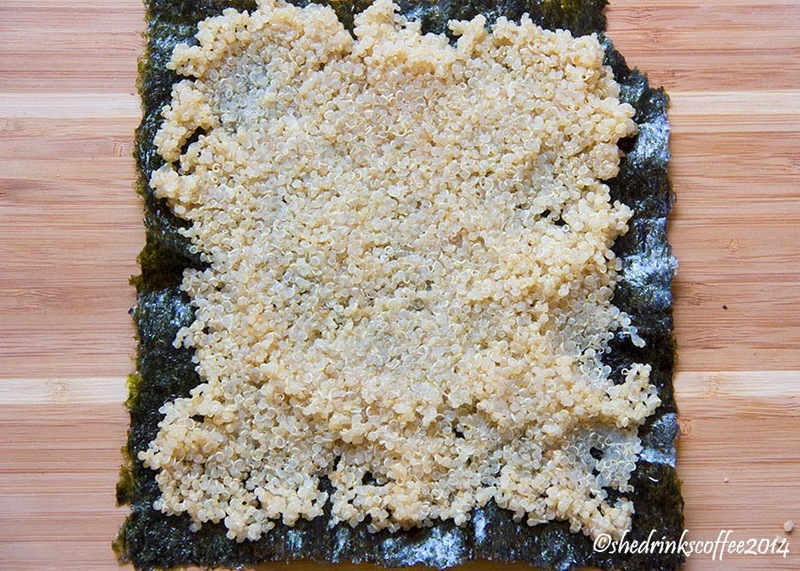 Lay out the nori sheets and spread the quinoa evenly over each sheet, nearly to the edge. Next, thinly slice the vegetables of your choice - I really like using an avocado, carrot, and half a bell pepper for two wraps. 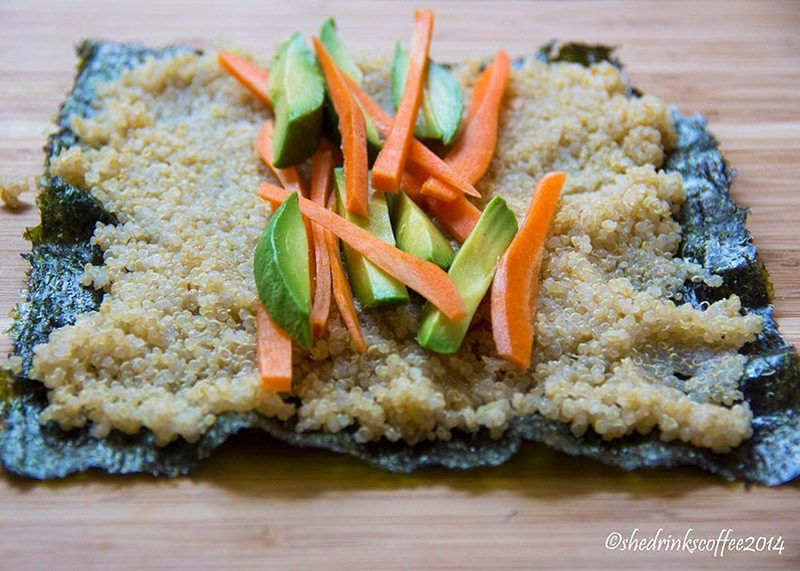 Place the sliced vegetables in the middle of the quinoa, then carefully roll the wrap. If your wrap is oriented like the picture above, start rolling from the left or right hand side. 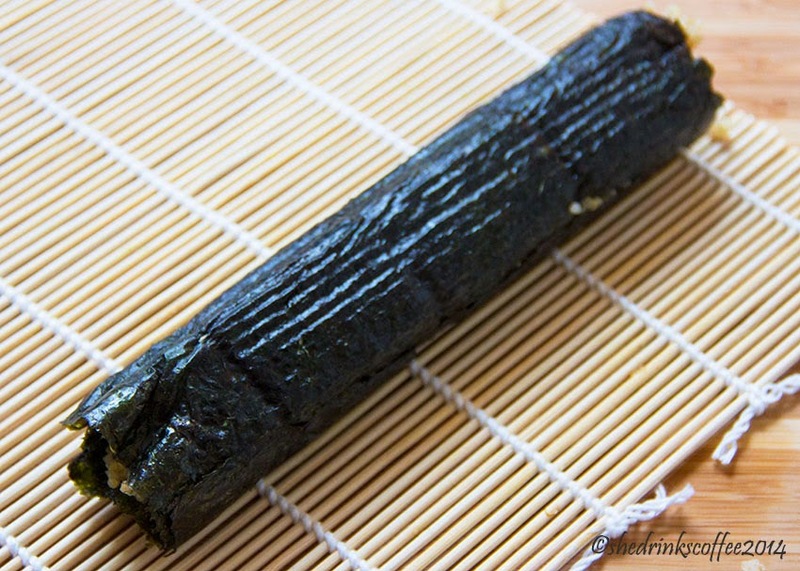 If you have a bamboo sushi rolling mat, you can use that to roll up the mat. It's not totally necessary though, so don't worry if you don't have one on hand! 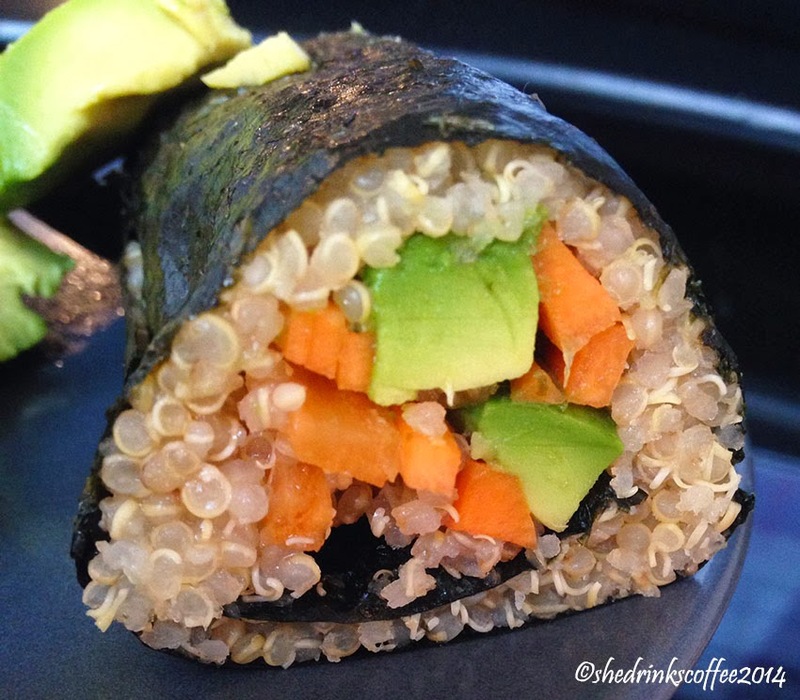 Finally, slice the rolls in half and enjoy your protein packed veggie lunch! I like to dip mine in a bit of soy sauce and wasabi. Okay, maybe a lot of wasabi. That part's optional though, of course!